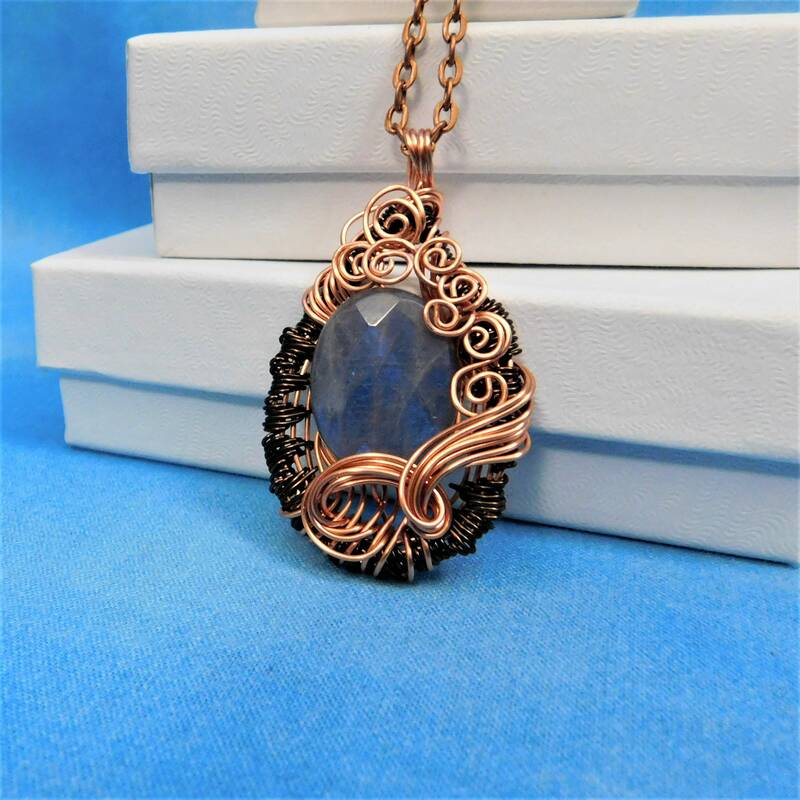 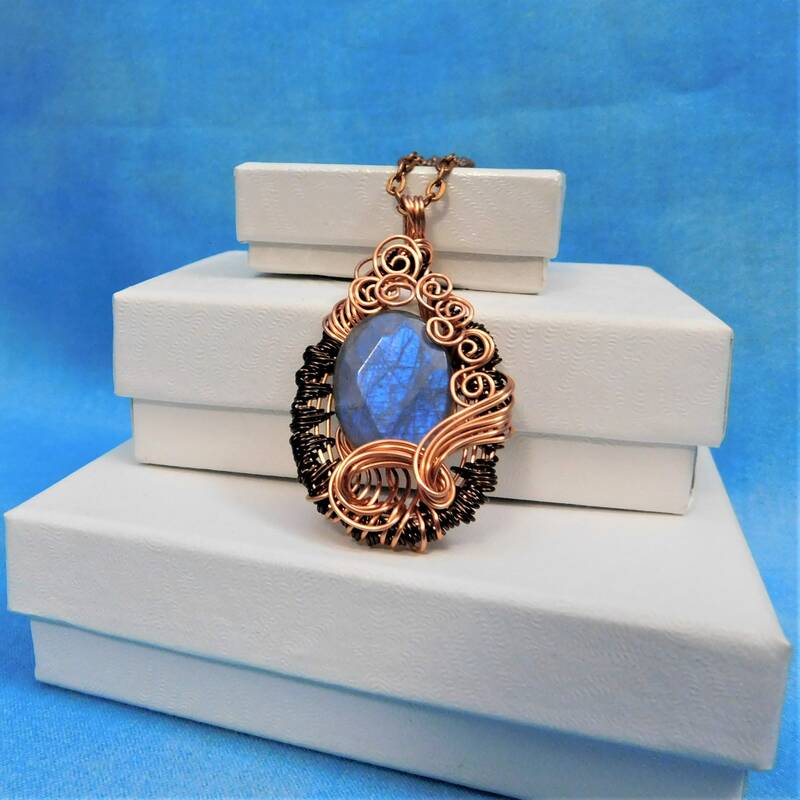 A shimmery piece of Labradorite is artistically framed with three shades of handwoven and sculpted copper wire. 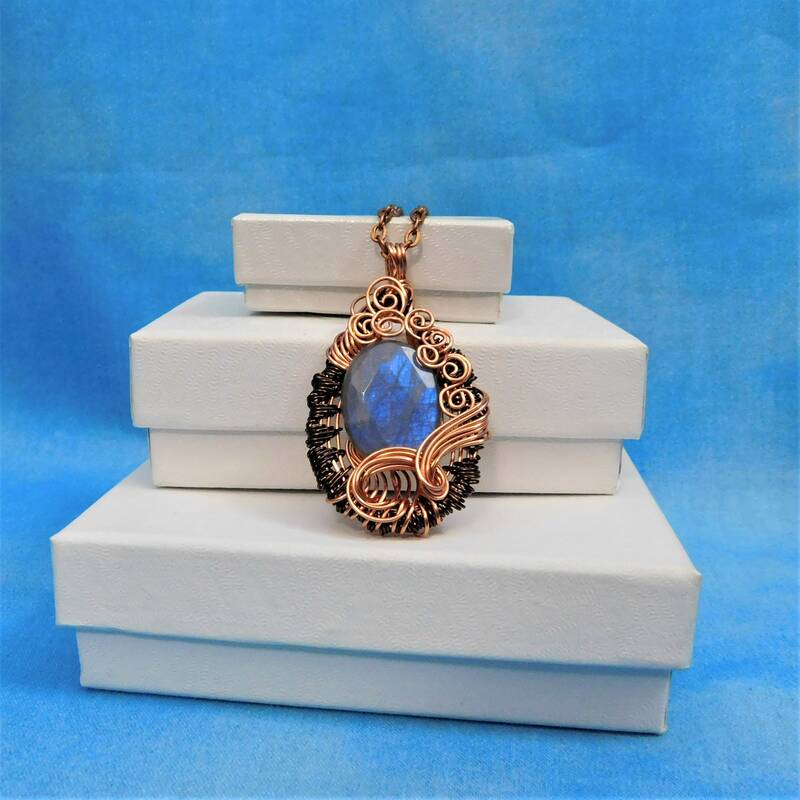 The blue flash that comes from deep within the stone is very prominent, and creates a stunning point of interest. 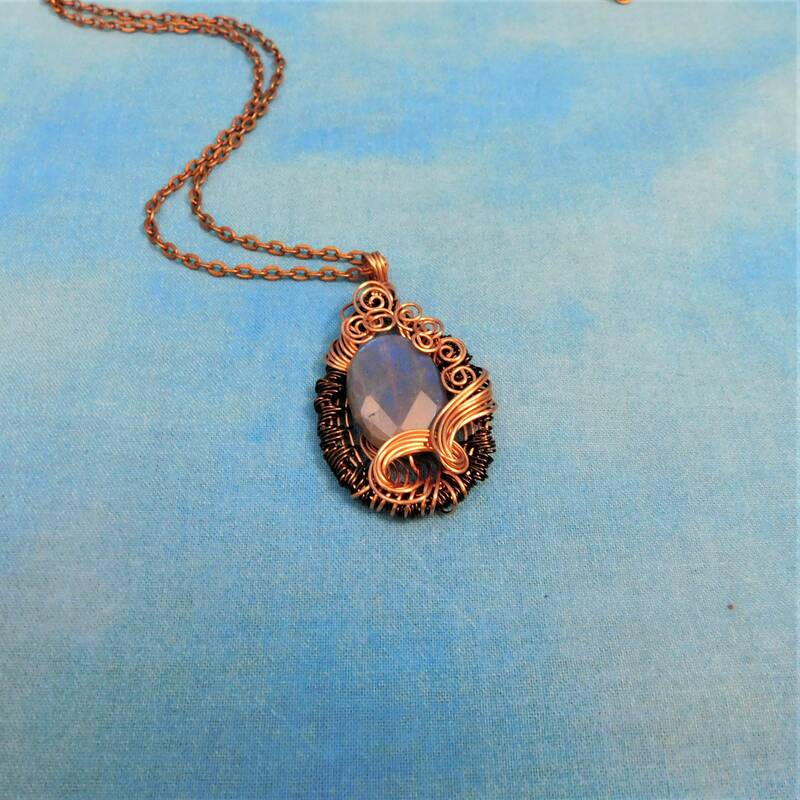 The stone is drilled through the center and wired to securely remain within the piece. 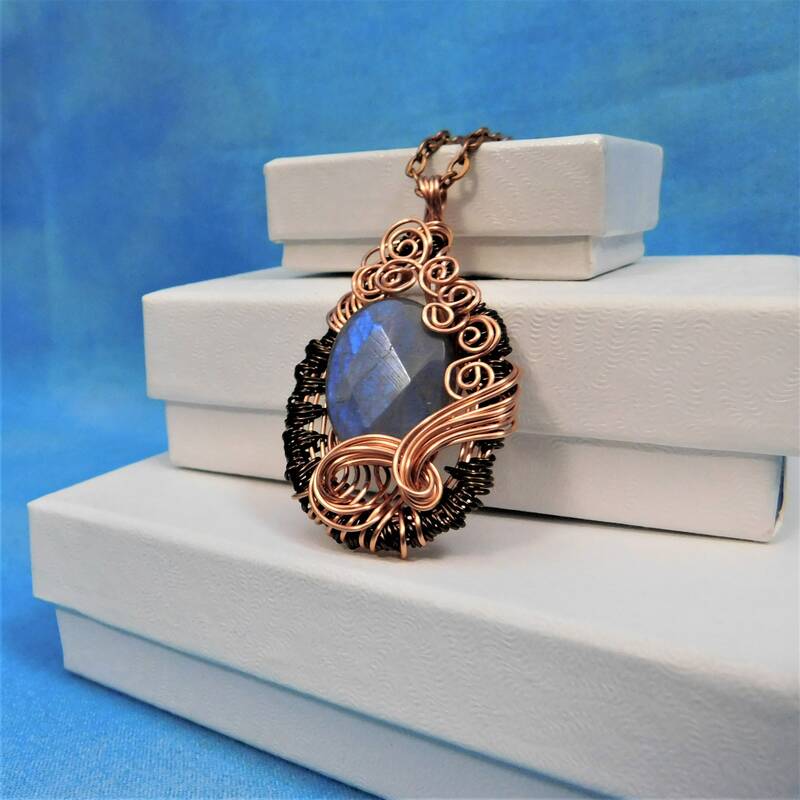 Labradorite is a truly beautiful gemstone, and it was a pleasure creating the setting for this piece. 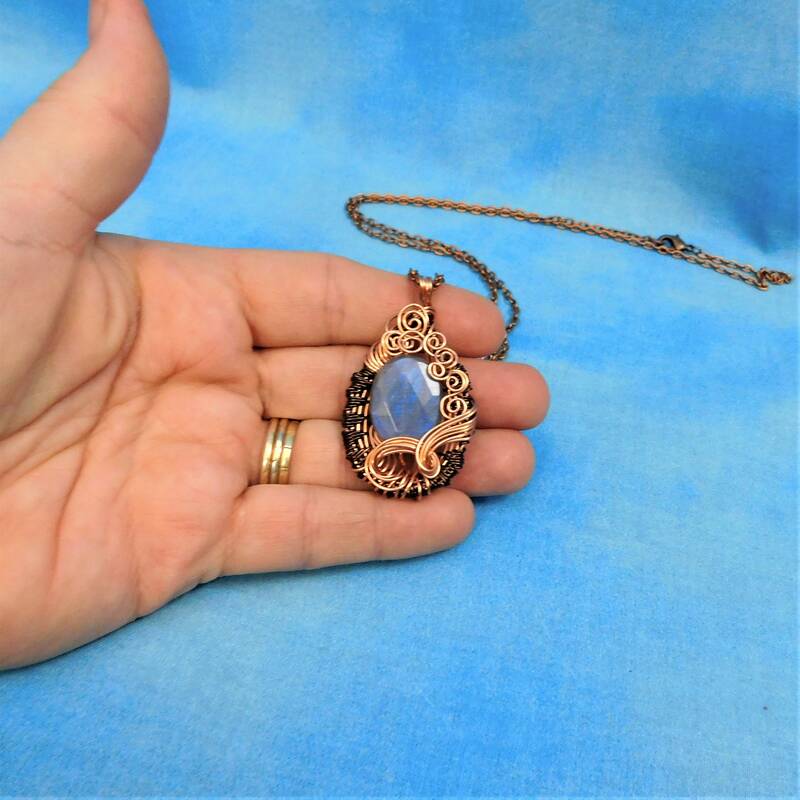 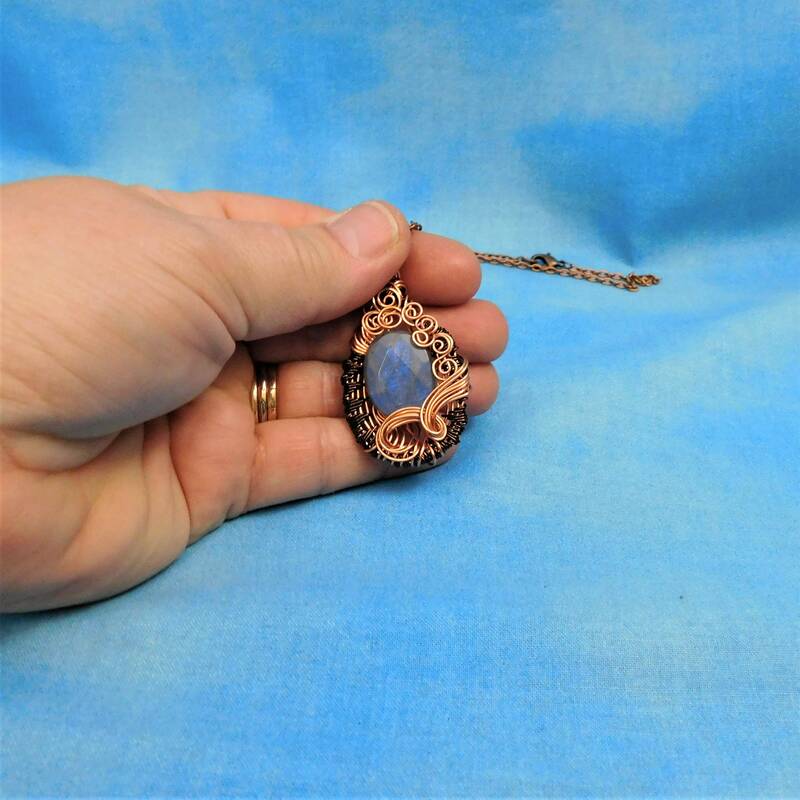 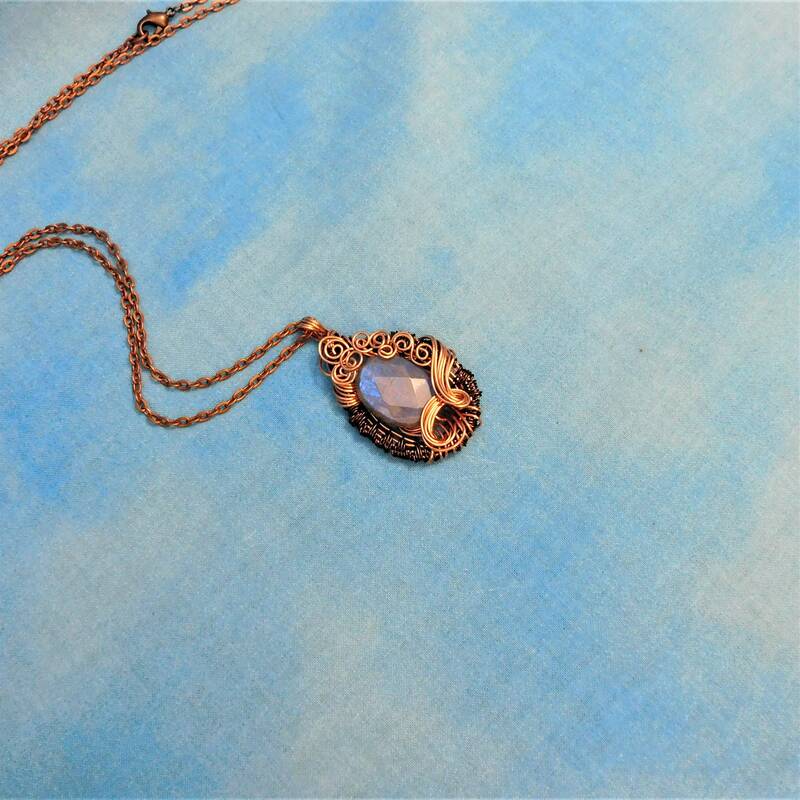 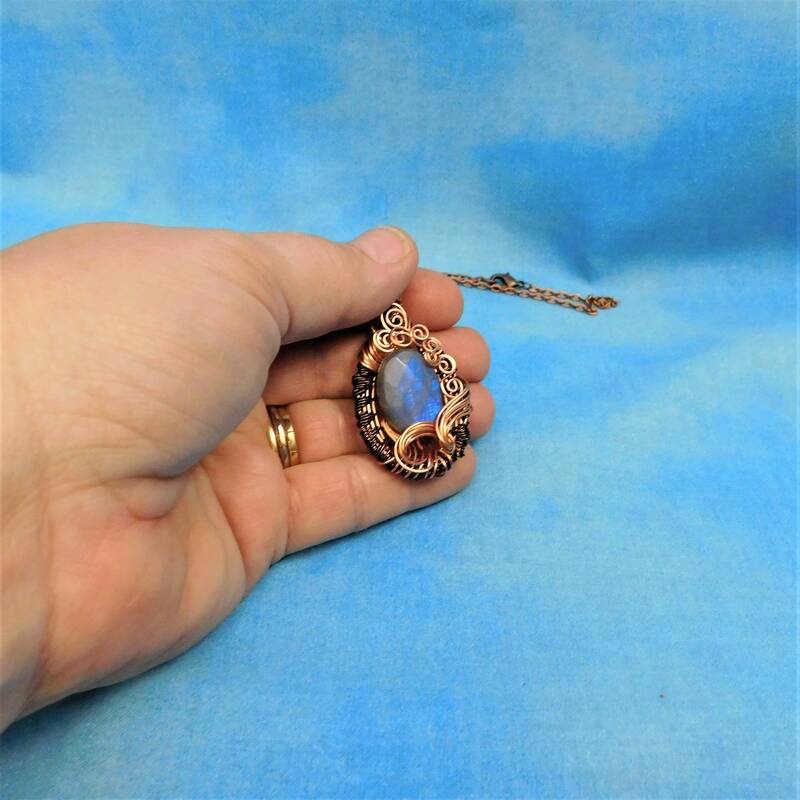 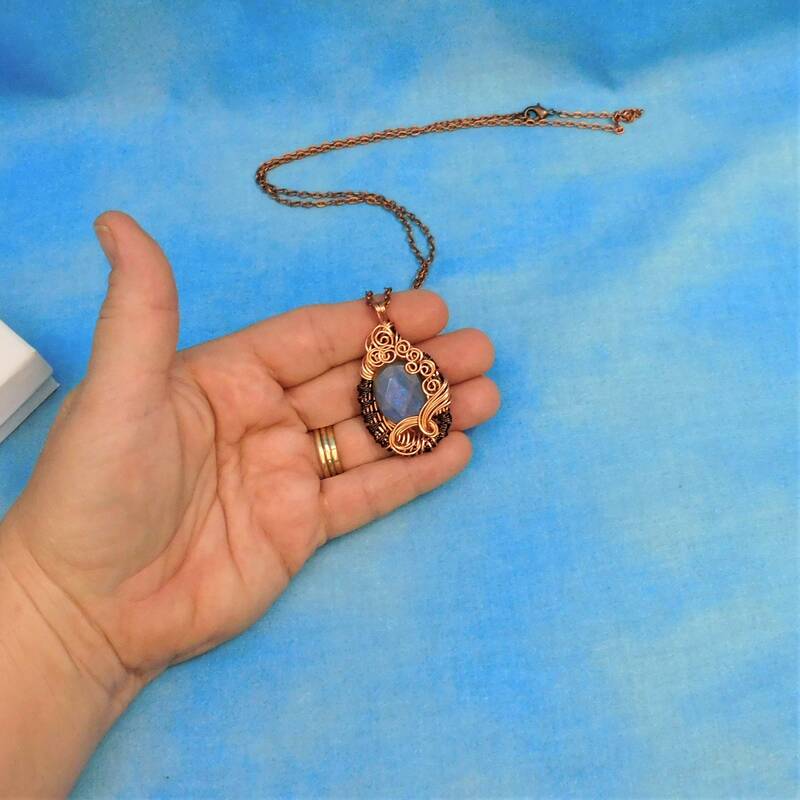 The pendant measures 1 1/2 inches by 1 inch and it comes with a FREE coordinating chain with lobster claw clasp, measured to your preferred length.